You'd be forgiven for underestimating what the Dodge Durango is capable of. After all, mid-size SUVs don't typically pack all of the performance, capability, and versatility that you find in the Durango; in fact, many don't even offer the long list of standard features that come with your powerhouse SUV. The Durango is an SUV you can feel proud to drive in any situation, from school carpools to taking on trails. In addition to being the largest member of the Jeep SUV family, the Grand Cherokee is also one of the most popular models. Given its unparalleled combination of executive styling, expansive interior space, and Jeep capability, it's easy to see why. For 2019, the Jeep Grand Cherokee is offered in a number of trim levels that deliver the features you want most, and then some. When you are in the market for a family minivan, then you are likely looking for a driving option that provides you with three things: safety, a spacious, comfortable interior, and reliable performance. When you boil your driving experience down to its nuts and bolts, those elements are some of the most important to consider. After you test drive a car you like, whether that’s the Chrysler Pacifica or the Ram 1500, your next step is to explore the financing process. No matter if you know exactly what you want to do (either purchase a car or lease one), or you are still deciding what your next movie will be, our team will be here to assist you every step of the way. Shopping for a new vehicle can be a long process. There is a lot to consider not only regarding your budget but also, all of the different features that you can have included in your vehicle. When it comes to the Ram 2500 this interior is something you will be really impressed with. It is luxurious but still very practical. You have plenty of seating room for all of your passengers and you can configure the seating arrangement however you would like. 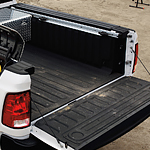 The Ram 3500 is a popular heavy-duty pickup truck that's built to last as the company's motto goes. Two features that give it durability are the 50,000-PSI steel frame and the 5-year/60,000-mile powertrain limited warranty. Ram ProMaster Handles Anything You Can Dish Out! In Cape Girardeau, professionals expect the highest standards from themselves and the equipment that aids in their service. 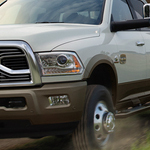 This is why Dodge has such a strong presence here, with their vehicles essentially defining the standard for what a durable, safe utility vehicle is. Are you interested in the 2018 Jeep Wrangler JK? If you are, you will be pleased to know the model comes with a variety of features that make it one of the best off-road SUVs on the market. To learn more about the capability features that come with the new model, we invite you to read further.